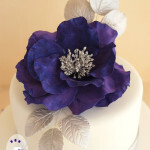 Today’s cake is certainly an engagement cake with a difference! 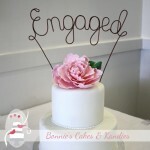 I’ve made many engagement cakes over the years and have seen a lot of different trends come and go and come back again. (Is this making me sound old?!) 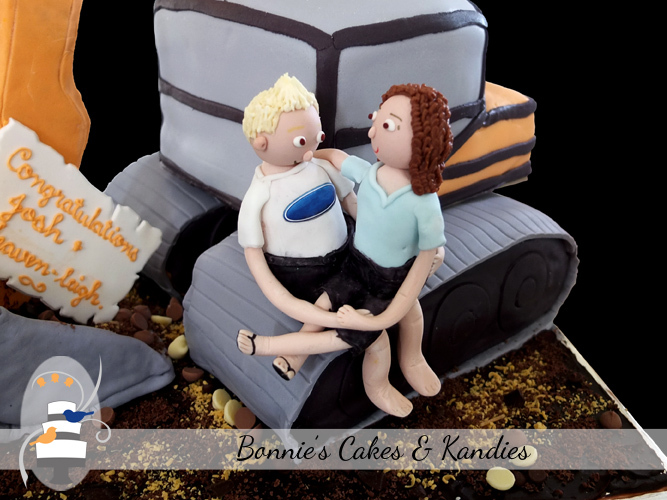 One thing that never goes out of style is a great sense of humour, and my customer certainly brought that to the table when ordering this surprise engagement cake – a present to the happy couple. 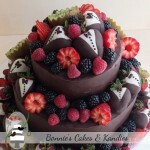 An engagement cake with a difference! 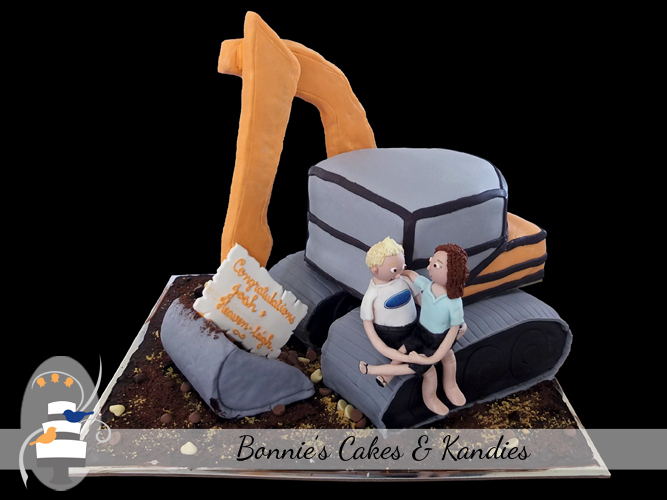 Excavator-shaped chocolate mud cake with gumpaste figurines made to resemble the happy couple | Bonnie’s Cakes & Kandies, Gympie. The choice of an excavator was one that had special significance to the bride- & groom-to-be. 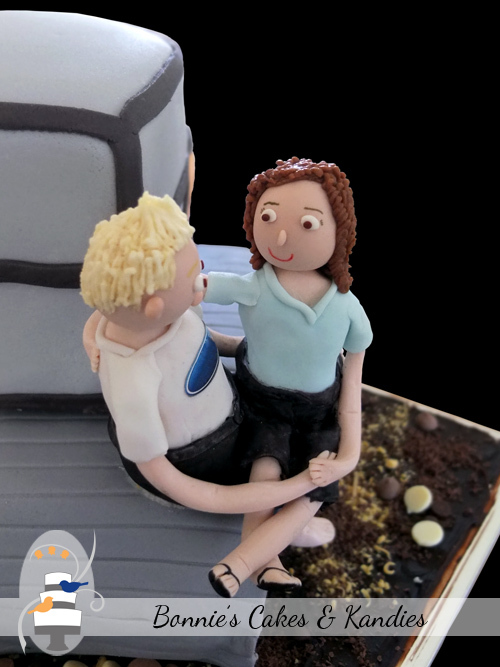 To make it even more special, my customer asked me to create gumpaste figurines to resemble the couple, using photographs and descriptions as a guide. Despite the mishap, I was very happy to hear that the cake went down well at the party, and that the happy couple enjoyed their surprise engagement cake. I’m not sure what they were expecting, but what a great (and delicious!) 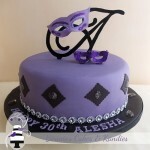 way to add some fun and personality to the celebration! Congratulations to the happy couple, and thank you to my customer for the order. What’s an engagement if not a marriage under construction – congratulations!